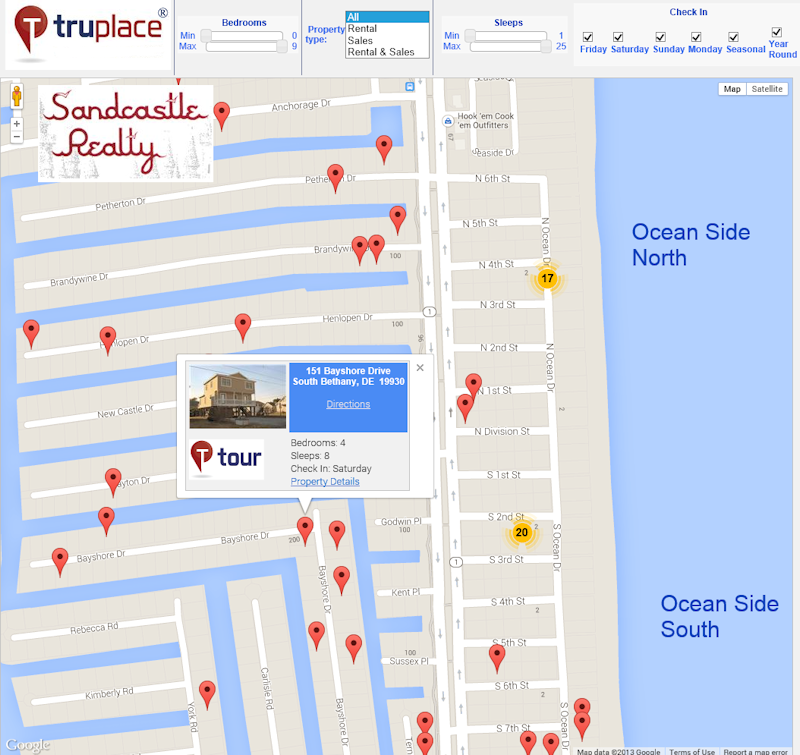 Get the TruPlace map advantage. We've designed our map service to extend the Virtual Floor Plan Tour and provide unlimited possibilities of Interactive Mapping. This unique service is reserved and provided at no charge for our customers with 100% participation of their rental properties. Professional Photographs of the Area. We take the pictures of the area and the amenities so visitors can understand the layout of the area. Map Utilization or Creation. We can use your maps or we can create custom new maps to present the area. When you point your mouse over an amenity on the map, an image of the amenity is displayed so you can see exactly what it looks like and its relationship to the area. If the amenity has a Virtual Floor Plan Tour, the visitor can drill down into the amenity and enjoy all the benefits of Virtual Floor Plan Tour. Insta-Load Technology. There is no software to download before you can view TruPlace maps online. The Maps and all the features are available immediately without waiting for the software to load. Unlimited Updates. You can supply pictures and descriptions whenever necessary. Outstanding Customer Service. If you need help with anything - from retrieving your images online to scheduling a photo shoot, and much more - we're here for you. Now, you need to ask yourself if you can afford not to use the TruPlace map service. We think you'll agree that the answer to that question is no.